GOOD NEWS TO REPORT THIS WEEK! 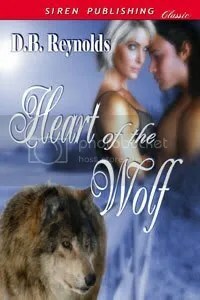 BUT … I’m up for a Pearl Award in the Best New Author category over at Paranormal Romance. So that’s pretty cool! 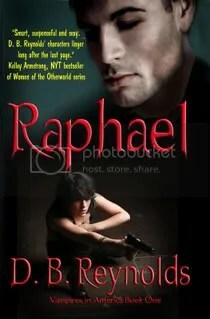 And they’ll be posting reviews of both RAPHAEL and JABRIL soon, too. Way cool. Anyone who’s already a member at PNR can vote, but if you’re not already a member, it’s too late. No ballot stuffing allowed! 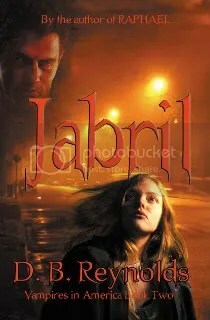 Also I’m guest blogging at VampChix today, so be sure and come by, say hello, and win a chance for a signed copy of JABRIL. For my loyal readers, who have already read the first two books, I’ll jump that to a signed copy of RAJMUND, if that’s your preference. On the Extreme Weather front, the rains have stopped at long last!! We had two days of blue sky and sunshine this weekend. It was lovely. My yard looks like a war zone–it’s soggy and full of debris, branches and palm fronds. But at least it’s no longer flooded and we survived with only a bit of wet carpet in the bedroom. We’ve got one more day of rain this week and then that’s supposed to be it for awhile. I hope! And finally, a fellow writer (thanks, Michelle) sent me this link to share with you all. It’s the plans for a do-it-yourself, no-kill mousetrap. I’ll tell you what I told her … if my rodent problem is so bad the little suckers are crawling on my tables, I’m moving out until the exterminator is done!! THIS is a new year? The big excitement in my life this week? … The palm trees are on the attack. You’ve all seen the pictures and film images of those tall, stately palms lining the streets of Southern California, right? They’re everywhere. Even places they shouldn’t be, quite frankly. And they propagate. Little tiny palm trees sprouting up in the middle of my azaleas. The fiends. Well, this week they clearly decided on a frontal, or er vertical, attack. About thirty palm fronds decided to drop on my house this week. All at the same time. About 4:00 in the morning. So what, you say? Palm fronds, big, leafy things. No big deal. Hah! First of all, they’re not big, they’re HUGE! Like 9 feet long. And they’re not leafy! They’re pointed and sharp and hard like a plank of wood! Imagine thirty 9-foot 2 x 6’s dropping on your house and yard at 4:00 in the morning. So, okay. We recovered. But the suckers are still sitting there in a big pile, because now it’s raining, which means no gardener until next week. The good news is, the ones actually ON my roof slid off because of the 50 mph winds we had. Although, at least that happened during the day. Okay, so that’s MY new year so far. Yeah, yeah, you say. But what about RAJMUND? And what about Book 4? I’m still waiting for word from my editor on the RAJMUND release date. 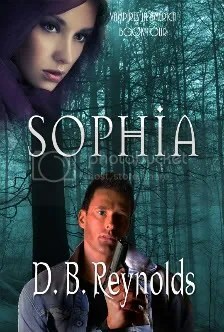 But I AM hard at work on Book 4 . . . SOPHIA. 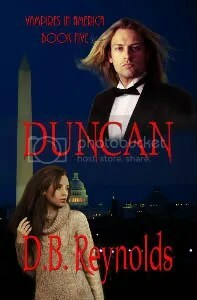 Look out, men of the Vampire Council, the lady has arrived and she’s bringing her very own human hunk to sip from! And now from the ridiculous to the even more ridiculous, I found this video series on YouTube. All I can say is . . . my vampires are definitely sexier than this guy. I’M BACK with 7 THINGS … !! First of all, sorry for the long absence. I was plowed under with the flu for the last couple of weeks. I did manage to meet a couple of last minute deadlines early on, but then my brain just shut down. 7 Things Readers Don’t Know About Me. 1. I’m six feet tall. Exactly. My little sister is 1/4 inch shorter which has bugged her all our lives. 2. I married one of my University professors. 5. The one trophy I kept from my mis-spent youth is a big ceramic mug I won in a couple’s beer chugging contest. 12 oz. each, seriatim, in 5.2 seconds, baby. That’s right. Read it and weep. 6. I was a horrible high school student. It was THEIR fault. I was bored. My counselor was convinced I was on drugs. I wasn’t. 7. My right leg is 2 mm (just over 1/16 of an inch) shorter than my left. And now for something completely different, here’s something I found on Amazon.com. It’s a goatee saver for men with beards. Honest. Obviously designed by someone who’s never had a beard in his life. Sheesh. It’s 2010! I can’t believe it. 2009 was such a busy, hectic, awful and wonderful year for me! To celebrate the new year, I’m launching a new page here on my blog . . . Vampire Vignettes. Little slices of life with Raphael and Cyn, and eventually the rest of the vamps, too. They won’t be posted at regular intervals, and they won’t stay up forever, but I’ll let you know whenever I post a new one. This inaugural vignette is, appropriately, a Vampire New Year’s Eve. Enjoy, and have a Wonderful and very Happy New Year!